When her legs swelled to three times their normal size, Fatuma Kabilambali, a pretty young mother of four, was abandoned by her family and friends. On the remote island of Idjwi, locals believe that elephantiasis — the disease destroying her — is caused by witchcraft, and those who have it are ostracised. 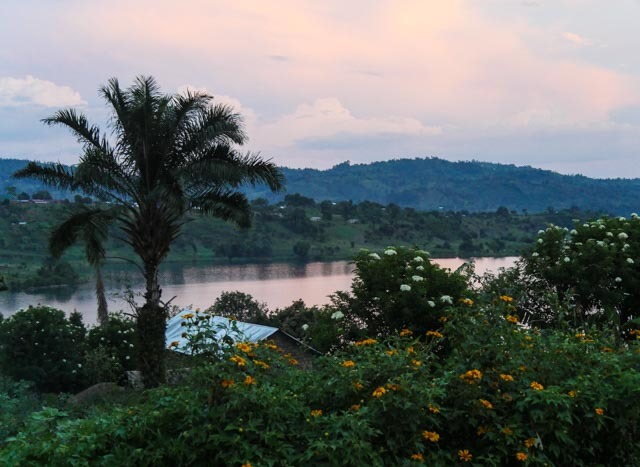 Life on Idjwi, in the middle of Lake Kivu, has barely changed in thousands of years. Known as “the land beyond the mists”, it is a lush, mountainous paradise to look at from afar, but is associated in the Democratic Republic of Congo with witches and black magic. President Kabila is said to have refused to go there in case he was cursed. The DRC is one of the poorest countries in the world, but Idjwi, abandoned by the authorities and many charities, is significantly poorer. It has two kings, who command fear and who collect taxes that cripple their subjects, who mostly live on less than a dollar a day. Almost none of the 250,000 islanders can afford the boat fare to the mainland, so they have never left. There are almost no schools or clinics, and barely any electricity. The average life expectancy is 25, while 90 per cent of suffer from a tropical disease. “Every awful disease is here,” said Ellen Agler, head of the End Fund, an organisation that fights neglected tropical diseases worldwide, and that is planning to treat the island with the help of a local doctor, Jacques Sebisaho. With no access to modern medicine, and convinced that they have been cursed, the islanders turn to traditional healers for help. Many people on Idjwi bear the scars of witchcraft — their stomachs are covered in small marks, made by traditional healers. Among these were the young children of one of Idjwi’s villages, all 77 of whom suddenly died in February. Despite having had the parasitic illness for years, Mrs Kabilambali visited the island’s clinic for the first time last month, suffering from constant pain in her legs and struggling to walk. The worst of her ordeal, she said, was being shunned by her family. “My husband said he couldn’t stay with anyone with such feet. He married another woman and even though they still live in our village, he doesn’t come and see the children. 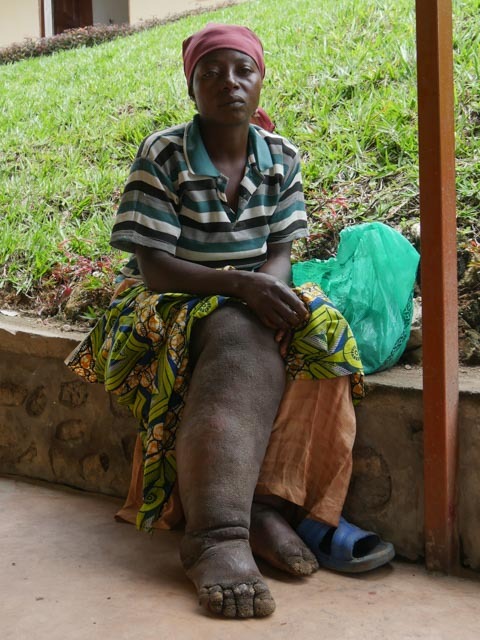 She is just one of more than 30,000 people on Idjwi with elephantiasis. Almost everyone has intestinal worms. Many have bilharzia, an infection caused by parasites. These diseases are simple to treat, with just a few free pills taken twice a year. In a place like Idjwi, however, where many people have to walk for eight hours to get to a market, distribution is extremely difficult. To help with the task Dr Sebisaho is mobilising a network of religious and traditional leaders and health workers. Sadly, very little can be done for people like Mrs Kabilambali. The surgery that could possibly help her is unthinkable in Idjwi.